Wildlife Crime Is A Threat To Us All. Now You Can Join The Fight. It is being broadcast online here on March 3 at 9:00 am ET. IFAW's intelligence let to a Chinese government ban on the auction of ivory, rhino horn and tiger bone in 2011. The ban resulted in a 40 percent reduction of overall mainland auction sales in the following year. 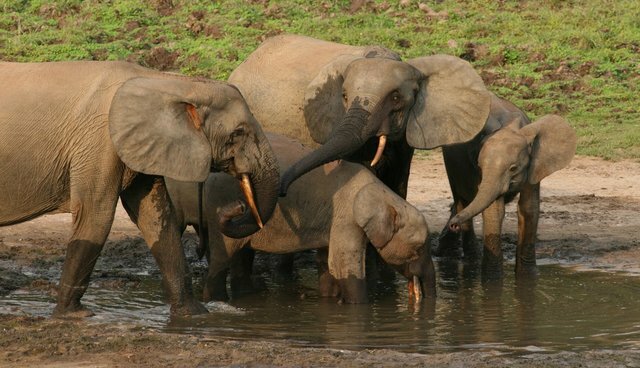 IFAW's "Mom, I have teeth" ivory demand reduction ad campaign successfully reduced the segment of Chinese population most likely to purchase ivory from 54 percent to 26 percent, according to a recent IFAW-commissioned survey by Rapid Asia. Based on that success, IFAW's China office conceived and produced more culturally-appropriate and socially-motivating advertisements to call on consumers to reject wildlife trade. The campaign messages appeal to not only Chinese people's morality but appreciation for the traditional values of compassion and sustainability that unfortunately have been diminished in the modern world. Over a dozen Key Opinion Leaders from various segment of the Chinese society have joined IFAW's campaign, mobilizing society to "Give Peace to Elephants, Say No to Ivory." Two of the world's largest economies, China and the US, share responsibilities for coming together to solve this urgent conservation crisis. We must all understand the issues at hand and make a commitment to work together to fight wildlife crime and ensure that the world's wildlife heritage are protected.